Filip Niculete is a First Vice President at Marcus & Millichap servicing the entire LA market. 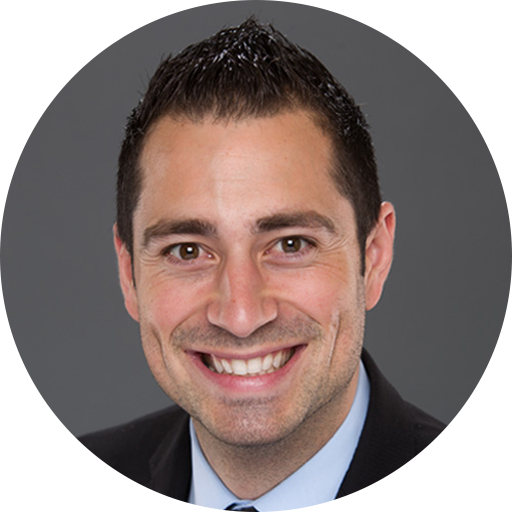 Filip began his career at Marcus & Millichap in the Encino office back in 2012 specializing in Multi-family. Over the course of those 7 years Filip has represented hundreds of clients having closed 150 transactions and over $350 million in sales. Filip has been nominated for numerous awards including the most recent “San Fernando’s 2018 Top Broker”. The disposition and acquisition of multi-family is Filip’s specialty, but he manages to stay ahead of the curve in the many different product types, which in return earned him the prestigious recognition and title “Marcus & Millichap’s Top 10 Land Investment Agent”. In 2019 Filip co-founded Los Angeles Apartment Advisors, he now has a team of 13. Filip graduated from San Diego State University where he majored in Finance. In his spare time Filip enjoys traveling – having been to Europe over 22 times. Glen Scher is a Vice President at Marcus & Millichap's Encino office and the co-founder of the Los Angeles Apartment Advisors. Glen started his career by specializing in the acquisition and disposition of multi-family properties in the San Fernando Valley, with a skill for organizing successful 1031 exchanges. Now that Glen, along with his partner Filip, run a team of 13 people, he has expanded his expertise to all of Los Angeles. Glen was born and raised in the San Fernando Valley, giving him an unmatched knowledge and expertise of the area. The San Fernando Valley Business Journal awarded Glen with the Rookie of the Year Award. In that award year, he represented 13 transactions with 112 units sold at a total value of $37,919,000. In 2015, the Encino office of Marcus & Millichap gave Glen the prestigious award of "Rising Star," one of only three agents to receive this award. Glen then achieved the status "Emerging Core," which is only given to agents who far exceed sales expectations. From 2014-2017, Glen has represented 45 transactions valued at a total sales volume of over $100,000,000. Furthermore, Glen has a career sales/list price ratio of 98.12%. In other words, Glen closes his listings within 2% of the list price. In 2017, Glen earned the privilege of being named the #1 Commercial Agent in California under the age of 30. In this historic year, Glen earned his first National Achievement Award, which added to his previous Sales Recognition Awards in 2016 & 2017. Glen graduated from University of California, Santa Barbara, where he earned a Bachelor of Science in Economics and Accounting. While at UC Santa Barbara, Glen was part of the Division I golf team where he enjoyed tremendous success. He was able to win three collegiate titles along with over 25 top-ten finishes, earning him a spot in the top 100 ranked collegiate golfers in the country. Through his success on the course, he was able to become the first golfer at UC Santa Barbara to earn the Male Athlete of the Year Award, beating out star athletes in all other sports at the University. Glen has been able to take his competitive nature and strong work ethic to the real estate game, where he works tirelessly to help every one of his clients achieve their investment goals. Jonathan Erster joined Los Angeles Apartment Advisors in 2013. Jonathan and his highly qualified team of commercial real estate investment specialists are devoted to building long term relationships with local investors, national investors, as well as private companies. 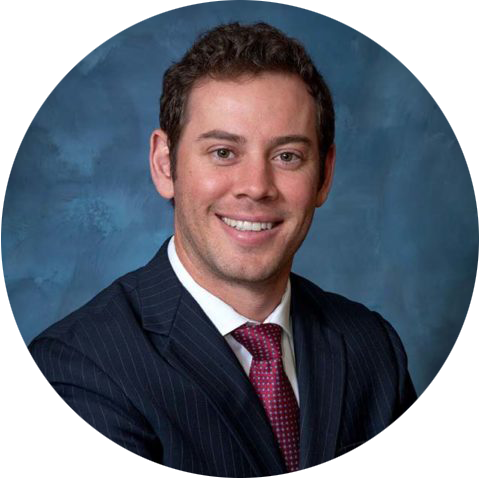 Jonathan’s expertise allows him to approach each transaction with his client’s best interest as the primary objective. His clients appreciate his direct approach to delivering all the facts about value, the market and most importantly being sincere to what he believes he can achieve for his clients. Through the highest level professionalism and practice he concentrates on maximizing value to all his clients. Multi-family investment specialist in the Burbank, Glendale and Northeast Los Angeles Markets, Rick Ramirez is an industrious and goal-oriented agent. Advising his clients in the better understanding and improvement of their positions in the market place is his top priority. After graduating from the University of California, Santa Barbara with a degree in sociology and holding a seat within the Associated Students Legislative Council, Rick took his keen understanding of social relations into the workforce. He started his career in the commercial insurance sector, specializing in worker’s compensation, general liability, errors and omission, and commercial auto for nearly every type of business throughout California. Seeing the chance to connect and improve the positions of neighbors within his own backyard, Rick took the opportunity to join Filip Niculete and his team over at the Marcus & Millichap office in Encino. Under Filip’s leadership emphasizing hard work, honesty and integrity, the team has evolved into a leading force within their perspective markets. Michael McNulty was recruited to join the Los Angeles Apartment Advisors at Marcus & Millichap's Encino office in California. Michael was born and raised in Los Angeles with both parents in the real estate industry, cultivating extensive knowledge in the Pasadena, Alhambra, Arcadia & Monrovia region. Michael is a devoted member of LAAA with a commitment to advising his clients with relevant research, and top notch service. Michael graduated from St. Edward's University in Austin, Texas, where he received a Bachelor's degree in Communication. During his time in Austin, Michael was president & captain of the men's lacrosse team where he excelled tremendously. He was able to achieve 1st Team-All League as well as Defensive Player of the Year. Michael has been able to take his competitive edge from the field to the real estate realm where he relentlessly works to assist clients in their real estate investment ventures. Aida is a multi-family investment advisor, specializing in the acquisition, disposition and repositioning of commercial assets in Santa Monica, West Los Angeles, Venice, and surrounding areas. Growing up in Los Angeles, Aida has developed a deep understanding and profound appreciation of the city’s great history. She graduated from California State University Northridge with honors and worked as a Brokerage Administrator for two years at Marcus & Millichap as a financial underwriter prior to becoming a multi-family investment specialist. Aida’s underwriting experience gives her a unique perspective and insight into the needs and motivations of her investors and the current market conditions. This combination allows her to effectively and efficiently assist her clients in achieving their investment goals. Specializing in 1031 exchange transactions, Aida examines each of her clients’ return on investment and return on equity, allowing her to provide various opportunities for her clients to build wealth. Aida works with each individual client’s goals in order to determine the best avenue to better their position, whether that be by exchanging them into larger multi-family buildings or helping them achieve the work-life balance they seek through a less management intensive assets. A relentless work ethic and strong negotiation tactics are the keys to her success in providing the best representation for her clients. Her comprehensive real estate knowledge is an asset to every property owner and investor. Josh attended San Diego State University and graduated with a degree in Integrated Marketing Communications in 2009. Upon graduating, he began working for a software development company reporting directly to the CEO and VP of Marketing. Learning under their executive leadership and spearheading projects with everyone from senior-level executives to engineers and interns, Josh quickly picked up a variety of skills that helped enhance his digital marketing and advertising repertoire as well as his interpersonal communication and team management skills. In addition, he was able to work closely with engineers and pick up valuable software development skills that further enhanced his technical ability as it relates to technology, software, and digital advertising. After five years with the company, Josh decided to make his way up to Los Angeles and leverage his unique skill set while working at Marcus & Millichap. Since coming on board, Josh has helped build the team’s website from the ground up, completely revamped the email marketing program, and launched several digital marketing and advertising initiatives for the team. His primary objective is to maximize the exposure of each of our listings using the myriad of software tools and technologies available in the marketplace. In his spare time, Josh enjoys traveling abroad with his friends, playing sports, going to the beach, reading, and spending time with family and friends. Edward earned a Bachelor’s degree in Business Administration in 2009 and upon graduation, began a career as a corporate Accountant at Forever 21. After three years and despite the excitement of working within the fashion industry, Edward transitioned to investment real estate at the Encino office of Marcus & Millichap. Prior to becoming an agent, Edward began his career at Marcus & Millichap through the firm’s SIP program which is offered to less than 5% of new agents. After a year in the program, Edward graduated and transitioned to investment brokerage focusing on multi-family investments in the Tri-City area. In his first year in brokerage, Edward was recognized with the prestigious Pace Setter award and finished among the top in his class. Edward is directly involved in every stage of the acquisition and disposition of commercial real estate for his clients. From the detailed evaluation stage through to the closing of escrow, Edward works closely with his clients to ensure a smooth and continuous transaction. Edward enjoys traveling, playing & watching sports and spending time with friends and family. Growing up in Southern California, Arash has a deep understanding of the markets within Los Angeles. As a result, he has developed extensive networks within this region. His involvement in the local community has established him as a respected leader among his peers and colleagues. Arash takes pride in building strong client relationships that help to ensure successful transactions and many return customers. As a Commercial Real Estate Broker, Arash specializes in the sale and marketing of apartments in Southern California. 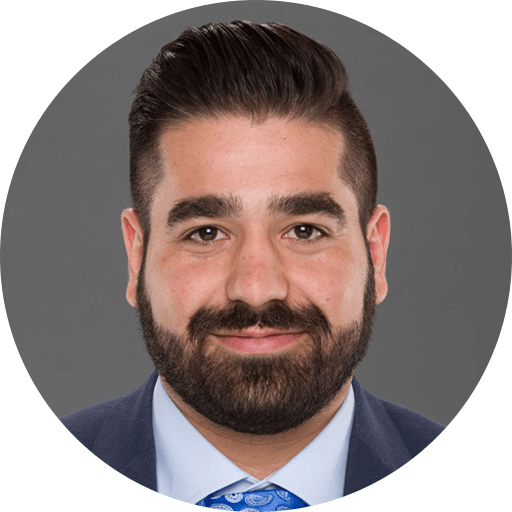 Arash’s expertise lies in his product specialization and his ability to approach each transaction with his client’s best interest as his primary objective. His clients appreciate his direct approach of delivering the facts about value, markets, and being realistic about what he and his team could deliver. 100 Percent of Arash’s efforts are concentrated on maximizing value for his clients through the highest level of professionalism. Arash also takes a lot of pride in working with Marcus & Millichap, the country’s top commercial real estate brokerage company. 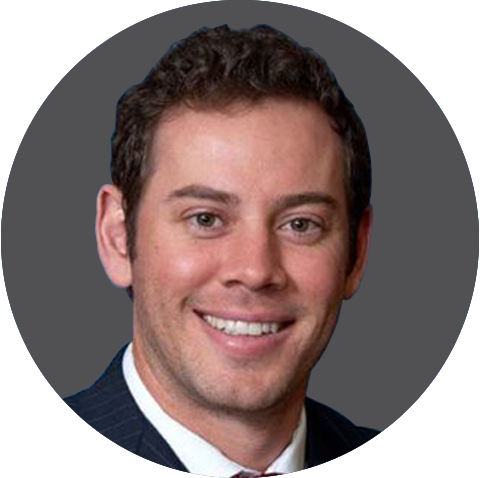 Nicolas Aiello is an associate of the Los Angeles Apartment Advisors at Marcus & Millichap’s Encino, California office. 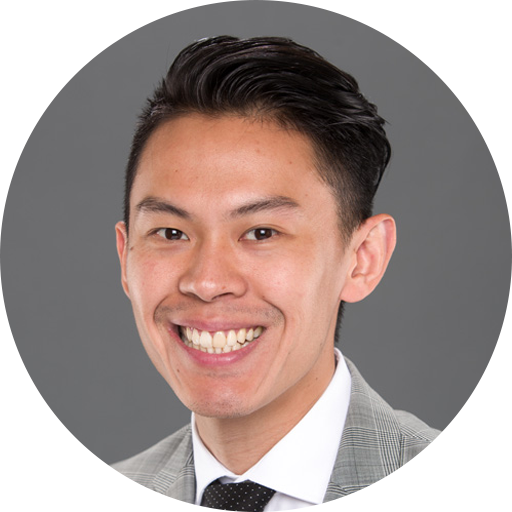 Nicolas is a dedicated member of LAAA that concentrates on the acquisition and disposition of multi-family properties in: Koreatown, Mid-City, Arlington Heights, Harvard Heights & East Hollywood, as well as preforming precisely timed & effective 1031 exchanges. Nicolas grew up in Los Angeles and has followed the Greater Los Angeles area development his whole life. Nicolas graduated from Northeastern University, Boston, where he earned a Bachelor of Science in Economics and Politics. JR Louie is an Associate on the LAAA team. JR was raised in a real estate family, surrounded by real estate investment and development his entire life. He is a multifamily specialist that excels in the acquisition and disposition of properties in Glendale, Burbank, Studio city and Toluca Lake. His knowledge and expertise in the industry equips his clients with the most relevant information, assisting them to create and preserve wealth through commercial real estate. JR graduated from the University of Southern California, where he earned a Bachelor of Science in Business Administration with an emphasis in Real Estate Finance from the Marshall School of Business. During his time in college, he was an active member in the Marshall Real Estate Finance Association and the Trojan Real Estate Association. He participated in an intramural soccer league with his friends while also taking on a recruitment position in his social fraternity. In addition, he received an award for being a finalist in a case competition hosted by Pricewaterhouse Coopers, devising strategies to utilize various outlets of media in order to optimize marketing effects according to different demographics. Through the diverse activities and extensive involvement in school, he has developed a strong skill set to bring with him into the Commercial Real Estate Industry. Scott Jaul started in the Encino office of Marcus & Millichap as a sales assistant for Filip Niculete and his team of multifamily agents in 2018. Scott has become familiar with all of the submarkets the team serves, which span most of Los Angeles County, and has become the go-to resource when it comes to underwriting properties. Scott attended San Diego State University prior to joining the Encino office and earned a bachelor’s degree in International Relations. Upon graduation, Scott worked for Maxim Healthcare as an Accounts Manager before entering into the commercial real estate industry. Scott is very driven and is fully committed to not only his team, but also the clients they serve. He is an extremely valuable asset that both the team and clients are lucky to have. Rachel Scher is the Executive Director of Marketing on LAAA’s multi-family team at Marcus & Millichap’s Encino office. Rachel has fulfilled marketing positions across a variety of industries including e-learning and entertainment. She got her start in multi-family leading a team in the marketing department for a Property Management and Investments company comprised of over 50 properties nation-wide and with investments totaling more than $3 billion in value. Today, Rachel applies her vast knowledge and expertise in marketing to the LAAA multi-family team. As Glen Scher's sister, she enjoys seeing both Glen and his team at LAAA thrive and increase in value. Rachel graduated from UC Irvine. Charles Jones is an Associate on LAAA’s multi-family team at Marcus & Millichap’s Encino office. Charles grew up in a real estate family and has been around multifamily investment his entire life. Today, he specializes in multi-family acquisition and disposition as well as orchestrating effective 1031 exchanges in Beverly Hills, Sawtelle, Westwood & West LA. Charles prides himself on his dedication to client service and thinking of innovative solutions in complex situations. Prior to Marcus & Millichap, Charles attended UCSB, where he graduated with a degree in Mandarin Chinese. He also co-founded and manages a non-profit that is dedicated to providing toys, books, and school supplies to underprivileged children in Southern California, which has raised over $100,000 since its inception.